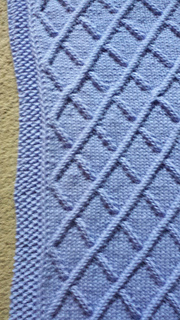 NOTE: MARCH 12, 2016: Cast on stitches should be 196, not 198. Updated PDF ready to download. 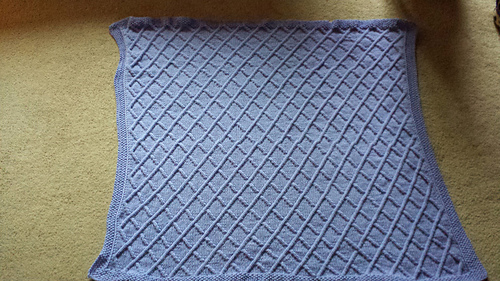 This was a fun blanket to knit. I started out with an easy 10 row seed stitch before starting with the pattern rows Left & right borders are also seed stitch. 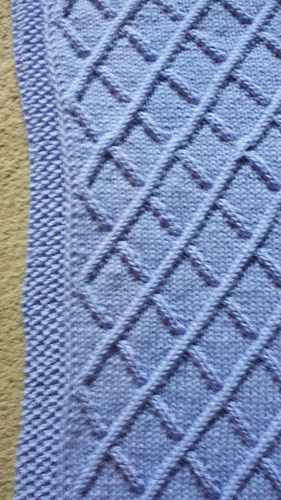 There is a slip stitch on either side of the diamond pattern. 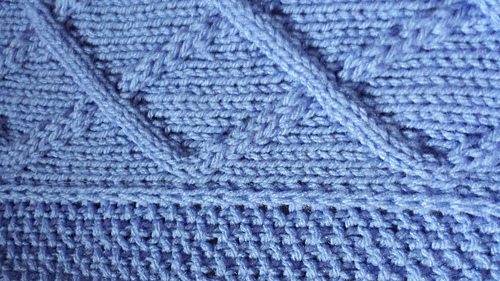 The diamond pattern is a 3-stitch cable. 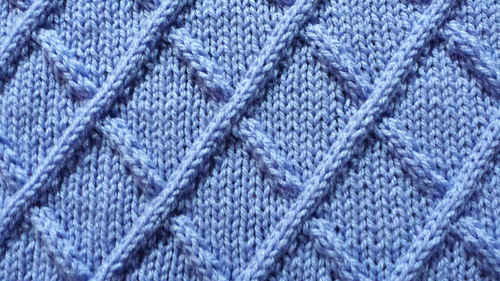 Once you get the hang of the cables and how they lean, you probably won’t need to refer to the pattern. This is one of those projects where gauge isn’t super important. You could easily go up or down in needle size to alter the finished size as well as use heavier yarns. If you want to upsize this to a normal size “Throw”, go up by multiples of 12. I could have easily made this blanket larger, but she had the baby and I ran out of time. ;-) I had originally purchased 2 (huge) balls of this stuff, so I have plenty left over - and one week - to crank out a matching sweater.